Trees add depth and dimension to any space but it can sometimes be challenging to choose a tree for a small space. Often people worry about planting trees in close proximity to their house but as long as you’re sensible about what you plant, there shouldn’t be a problem. If you don’t want to take the risk, then you could go for something like an Acer palmatum ‘Bloodgood’ or Prunus incisa. Both of these will be perfectly happy planted in a container. 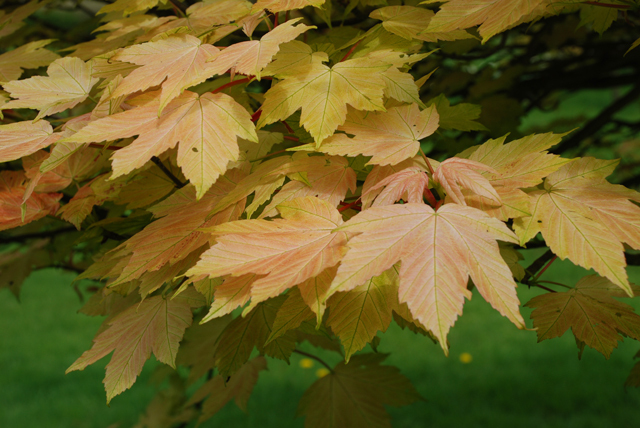 One of my favourite small trees is Acer pseudoplatanus ‘Brilliantissimum’. 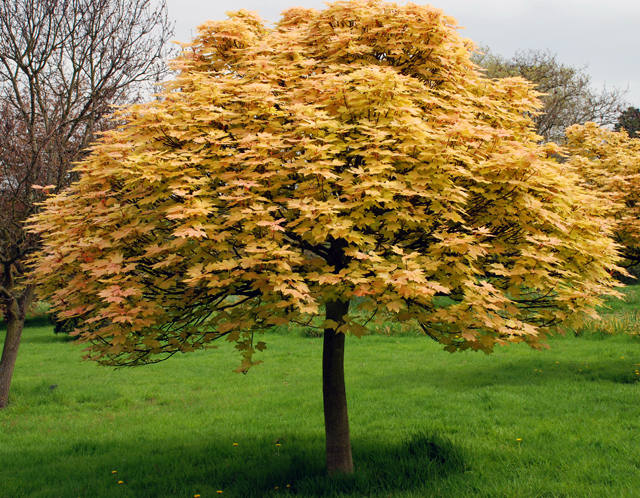 It’s a deciduous tree but it has the most wonderful soft pinky-orange leaves in spring which later turn to cream and dark green. It prefers a sheltered position on reasonably well-drained soil but isn’t fussy about whether the soil is acid or alkaline. Amelanchier lamarckii (the snowy mespilus) is a great tree for acid soil and is often grown as a multi-stemmed specimen. It works hard for its space in the garden, with starry white flowers and coppery leaves in spring and then fabulous autumn colour. 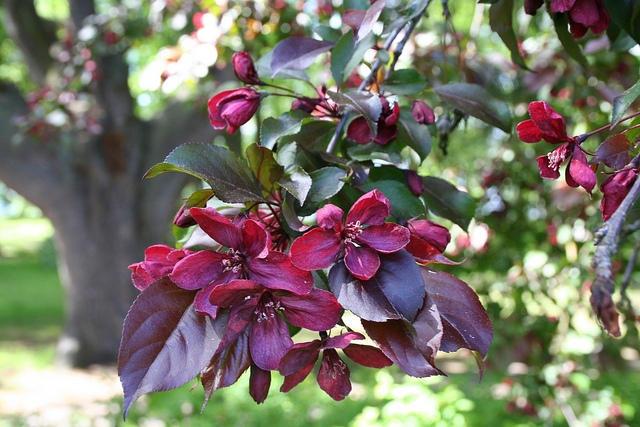 Many of the Malus varieties are suitable for small gardens, but I think Malus ‘Royalty’ is one of my favourites. It has wonderful deep purple foliage and the same colour flowers in spring. It will grow in any aspect, exposed or sheltered, and in any soil as long as it’s reasonably well-drained. 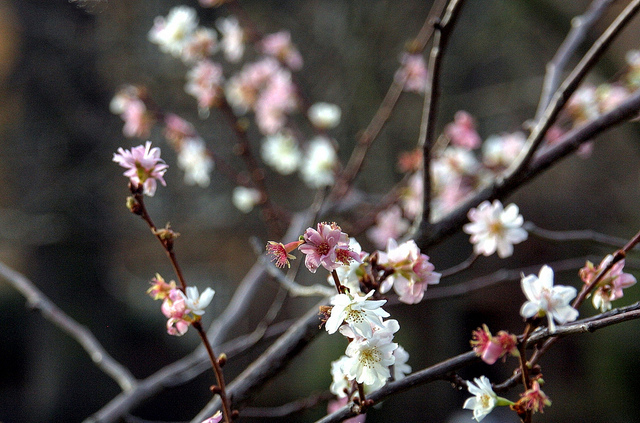 The last tree I’m going to feature today is Prunus subhirtella ‘Autumnalis’ which has pinkish white blossom in winter and spring then the leaves turn a wonderful warm yellow in autumn. I have featured just a couple of trees here, but there are many more than will work in a small space. If you’re worried about too much shade then perhaps think of a more upright tree. Something like Prunus sargentii ‘Rancho’ could work in this situation. 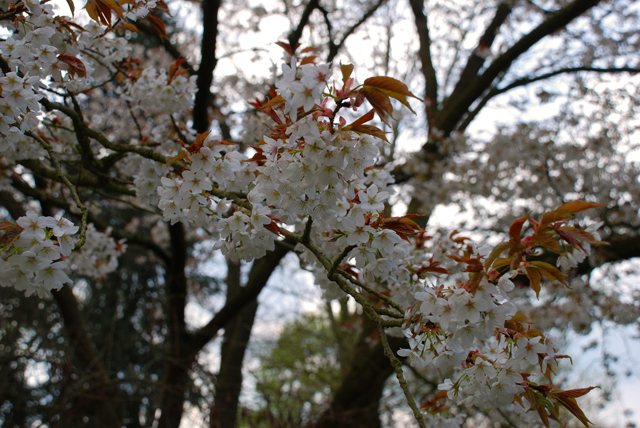 There are lots of trees that are happy on heavy clay including Amelanchier (although prefers acidic soil), Betula (birch), Crataegus (Hawthorne), Pyrus salicifolia ‘Pendula (Weeping pear) which has silvery willow-like foliage and also Malus (crab apple). Hope this gives you a few ideas! ?